A popular dance ensemble is coming to our neck of the woods. The group known as Pilobolus is coming to the Brooks Center for the Performing Arts in Clemson on Tuesday, Mar. 29. 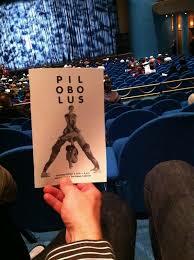 Pilobolus has been entertaining audiences since 1971 when they were founded in Dartmouth College. They use their creativity to teach people of all types to break through the traditional barriers. They have been awarded several honors, and now we get to see why. You won’t want to miss this grand performance from this outstanding dance company. They create routines you won’t find anywhere else. The Powell Group invites you to partake in this once-in-a-lifetime experience. While there, you can also explore our many available houses in the area. Our team members are here to answer all of your questions and concerns.